Obstructive sleep apnea is associated with an increased risk of stroke in middle-aged and older adults, especially men, according to new results from a landmark study supported by the National Heart, Lung, and Blood Institute (NHLBI) of the National Institutes of Health. Overall, sleep apnea more than doubles the risk of stroke in men. Obstructive sleep apnea is a common disorder in which the upper airway is intermittently narrowed or blocked, disrupting sleep and breathing during sleep. Investigators have developed a new mathematical approach to analyze molecular data derived from complex mixtures of immune cells. This approach, when combined with well-established techniques, readily identifies changes in small samples of human whole blood, and has the potential to distinguish between health and disease states. Led by Mark Davis, Ph.D., and Atul Butte, M.D., Ph.D., of Stanford University, Calif., the team of investigators received support from the National Institute of Allergy and Infectious Diseases (NIAID), as well as the National Heart, Lung, and Blood Institute and the National Cancer Institute, all part of the National Institutes of Health. Details about their work appear online at Nature Methods. Over the past 15 years, the technology for gene expression microarrays, which allow investigators to identify and measure relative amounts of many different genes in parallel, has advanced tremendously. Today researchers can measure nearly every gene in the human genome using very small amounts of blood. However, blood contains numerous types of immune cells, such as lymphocytes, basophils and monocytes, and when microarray analysis is performed on this mixture, the interpretation of the results becomes problematic. A new study has found the addition of long-acting beta-agonist therapy to be the most effective of three step-up, or supplemental, treatments for children whose asthma is not well controlled on low doses of inhaled corticosteroids alone. The study was designed to provide needed evidence for selecting step-up care for such children and was supported by the National Heart, Lung, and Blood Institute (NHLBI), part of the National Institutes of Health. Researchers also identified patient characteristics, such as race, that can help predict which step-up therapy is more likely to be the most effective for a child with persistent asthma. The study found that almost all of its participants had a different response to the three different treatments. Although adding the long acting beta-agonist step-up was one and one-half times more likely to be the best treatment for most of the study group, many children responded best to other two treatments instead. 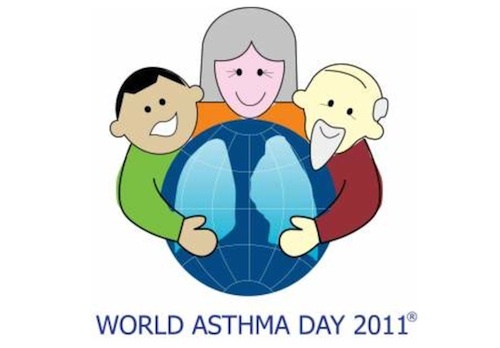 The results were presented March 2 at the American Academy of Asthma, Allergy and Immunology 2010 Annual Meeting in New Orleans and are published online in the New England Journal of Medicine. The National Heart, Lung, and Blood Institute (NHLBI), part of the National Institutes of Health, has awarded four contracts totaling $23.6 million to begin preclinical testing of devices to help children born with congenital heart defects or those who develop heart failure. The four-year program is called Pumps for Kids, Infants, and Neonates (PumpKIN). Each year in the United States, nearly 1,800 infants die as a result of congenital heart defects and another 350 develop heart disease, which leads to heart failure for many. Approximately 60 infants and children under 5 years old who are placed on the heart transplant waiting list die each year before receiving one. Mechanically assisted circulatory support could be used to sustain these young patients as they seek to recover or wait to receive a heart transplant.